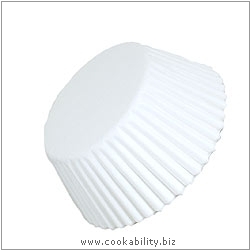 Easybake plain muffin cases to fit most UK Muffin Trays. Supplied in a polypropylene container for easy storage. Dimensions: 55-60mm base, 33mm high.